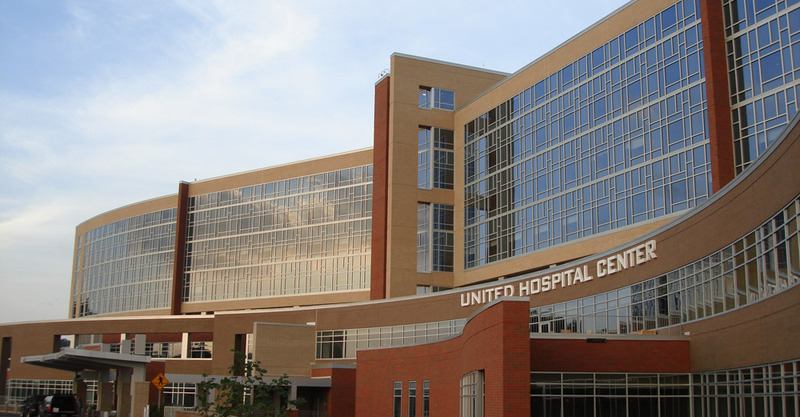 United Hospital Center | D-M Products, Inc.
Project Description: A new hospital facility included over 110,000 square feet of exterior unitized curtain wall, pressure wall, storefronts and low-E insulated glass. The interior work consisted of decorative glass, mirrors, psychiatric windows and over 4,000 sq. 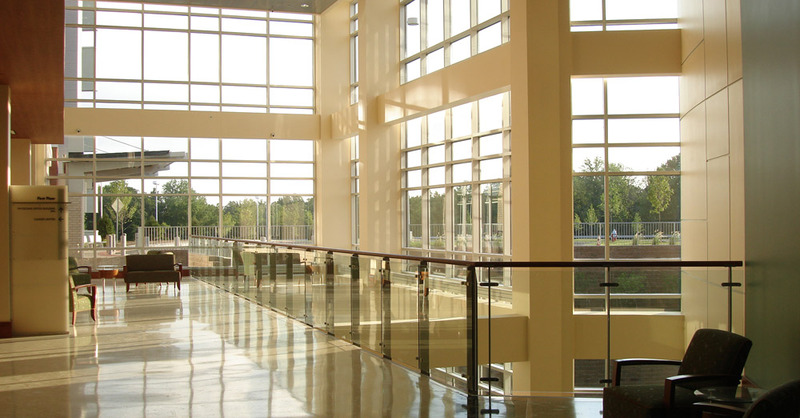 ft. of custom glass handrails.